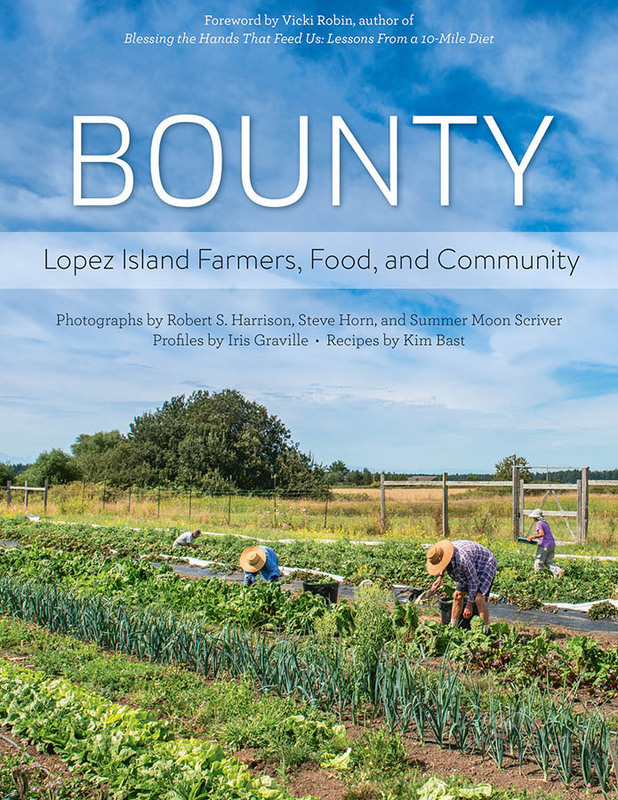 After three years of careful planning and fundraising by Sue Roundy, Lopez Community Land Trust and the Lopez Locovores were able to publish the book Bounty: Lopez Island Farmers, Food and Community. The book is available now through the Lopez Bookshop for $30. Visitors and local residents alike are thrilled with the recipes, photos of farmers, and information on each of the 28 farms. Vicki Robin of Blessing The Hand That Feeds Us wrote the foreword, and Iris Graville wrote the profiles that transport you right to the heart of the farmers. The recipes are presented by our local Kim Bast, and all photographs from our local photographers Robert S. Harrison, Steve Horn, and Summer Moon Scriver. The recipes are indeed divine, and photography stunning. If you need an idea for a great gift, Bounty is it!